These days, Android and Window phones are sustained to make considerable pace in the market. Windows Phone is a series developed by Microsoft Corporation that belongs to the operating system of Microsoft mobiles. Whereas, Android phones are mobile phone which is developed by Google that is based on Linux operating system. Both Android and Window phone have generally analogous functions but there is some dissimilarity as well. Windows Phone is a closed-sourced, which means that it is developed by the company and protected by copyright exclusively. Android phones is open-sourced, which permit the software to be freely customized and distributed by developer and this openness has made Android much loved by consumers. Due to large volume of android phone user and developers, Android phone maintains whole host of cheap or free applications. Any of the application that user wish is very quickly available. As compared to android, there is less quantity of applications in Windows phone. 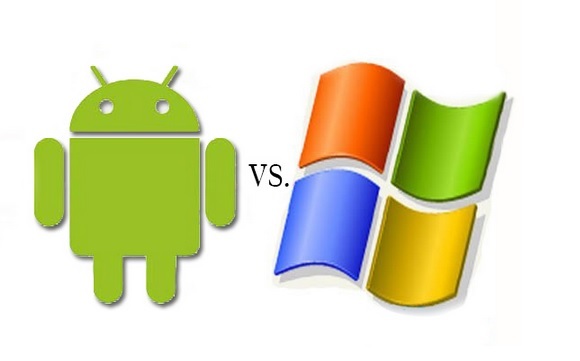 Consequently, android is more compelling and cheap while windows phone is less entertaining and bit expensive. The important difference between these two competitors is security. Security is extremely poor in android phones. Gradually android app is reported as malware by which data of android phones can be accessed by hacker easily. Windows phone is very secure and it is harder to be hacked. It doesn’t allow pirated apps. The home screen of windows phone is consistent and is made up of “live tiles”. Moreover, it makes use of “thread”, that allows chat among user through multiple platforms. Android phone has few icons on its home screen and rest of it is hidden that is its home screen is inconsistent. That’s why the interface of window phones is considered more simplified and iconic. Window phones has more potential for those users who are only interested in work, emails, surfing web and navigate, while android phone is more recommended to those users who are technology lovers. Above alternative of each phone shows that android phones are the winner for fun lovers and windows are champ for working people. Windows phone are expanding but android phones are more preferred by users and are widely used nowadays.